The Dutchman breathes music, and has been at it for more than 15 years. 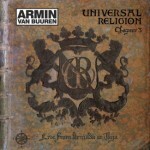 A lot has happened since the release of Universal Religion Chapter 4 in the summer of 2009. His fourth artist album ‘Mirage’ saw the light of day, along with the accompanying ‘Armin Only – Mirage’ world tour. 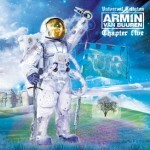 The 10 year anniversary and 500th episode of his A State of Trance radio show was celebrated with 5 events across 5 different continents, divided over 5 weeks. All events were broadcast live, uniting millions of listeners, sharing their passion for music. Another exciting new happening in his musical career, is his residency in the world-famous club Space on Ibiza. 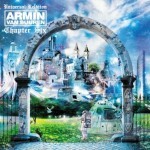 Armin van Buuren honours tradition and gives it a new spin at the same time. 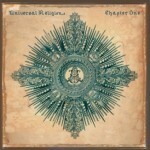 Universal Religion Chapter 5 presents two special live recordings from his gigs at Space. Let your senses be taken by exclusive tunes and remixes, feel the vibrant energy of the crowd and enjoy Armin’s unrivalled mixing skills, as he introduces you to a new, musical Chapter. 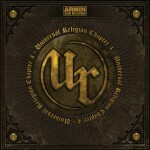 Not only does Universal Religion Chapter 5 indulge you with 2 brand new Armin van Buuren remixes, a new Gaia production and Armin’s ‘Brute’ collab with Ferry Corsten, it also takes you in with the beats of BT, Shogun, Ashley Wallbridge, Paul Oakenfold, Alexander Popov, Daniel Kandi, Re:Locate vs Robert Nickson, Andy Moor, John O’Callaghan and many more. The cover of this new Universal Religion Chapter was created by Dutch artist Joseph Klibansky. His art is known and shown in galleries all around the globe. Klibansky creates large-scale, idealistic digital paintings that are built up through hundreds of layers of photography enriched with acrylic paint. Armin asked Klibansky to create a special version of one of his artworks, for ‘Universal Religion Chapter 5’. For this collaboration, Klibansky created a dreamy image of infinite, hidden details, blending past and future, challenging your perception. This piece of art will also be shown in his ‘New Urban Wonderland’ exhibition. 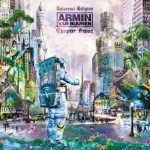 It complements the many effects that music can have on its listeners, and that’s exactly what appeals Armin so much. Also available on Spotify and Beatport.